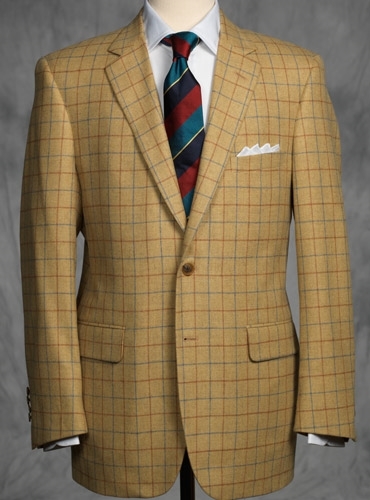 Golden straw sport coat with cobalt and spice orange windowpane. 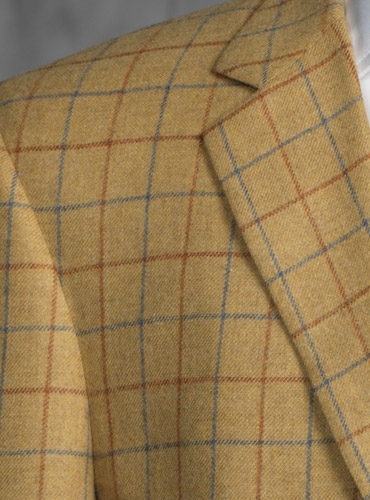 Made from an exquisite blend of 52% wool, 45 % cotton, 3% cashmere. 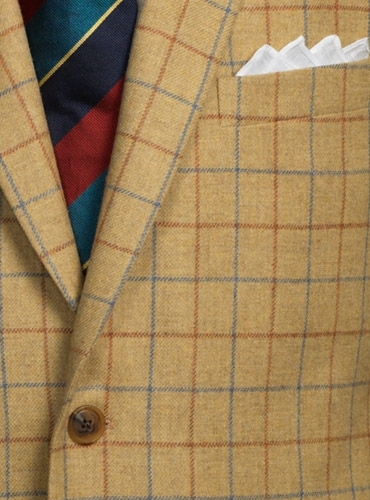 The jacket is cut into a fully canvassed two-button front, with upper welt pocket, double pipe and flap lower pockets, side vents and trim bluff edge lapel. Available exclusively in size 40, Regular.